Whether you are cooking at home for yourself, your family, entertaining guests, having a BBQ party or a planning a camping trip, Qbag is the magic ingredient for cooking convenience, whatever the weather. Cook a variety of foods as a side or main dish, either on their own or all mixed in the bag together. Meat and vegetarian dishes can be cooked side-by-side in the oven or on the BBQ with no risk of cross-contamination. Simply season, fill, cook and serve! Qbag consists of an aluminium foil pouch with a clear EasyView Window on top. During cooking, the food inside is visible, allowing you to easily monitor your dish without losing any aromas. The bag provides a cooking 'chamber' for food to cook in its own juices, and the window automatically vents to allow pressure and excess steam to escape safely. This means you can simply leave the bag to cook on its own, without any further hassle. The EasyView Window may be peeled off during cooking for stirring or tasting, or removed altogether after cooking to create a serving vessel. By creating a water-tight cooking chamber, liquids and sauces stay inside the bag to infuse with your food, resulting in a full-flavour taste with no mess to clean up after. Cook foods with smaller pieces, such as prawns or potatoes, directly on the BBQ without them falling through the holes in the grill. Many people never use the top shelf on the grill because of drips on to the food below. Utilising this space, Qbag allows you to save time by cooking more dishes at once without any dripping. Ideal for use on public BBQs/grills - Qbag protects your food from last time's grime. If you prefer a steamed result, leave the EasyView Window in place. If you prefer a grilled or roasted result, remove the window during cooking to allow food to brown and crisp up. Do you still want the classic barbecue 'taste' but without the mess? No problem, just ensure the window has been fully removed before closing the BBQ/grill hood. Experiment with different food combinations, seasonings, sauces, marinades and dry rubs for taste and tenderness. Qbag is the ideal solution for cooking en papillote - French for "in parchment" - or al cartoccio in Italian. It is a method of cooking in which food is sealed in a pouch or parcel and then baked. Many foods have a high natural water content so no additional sauces, butter or oil need to be added, making Qbag a particularly healthy way to cook by steaming in the bag. 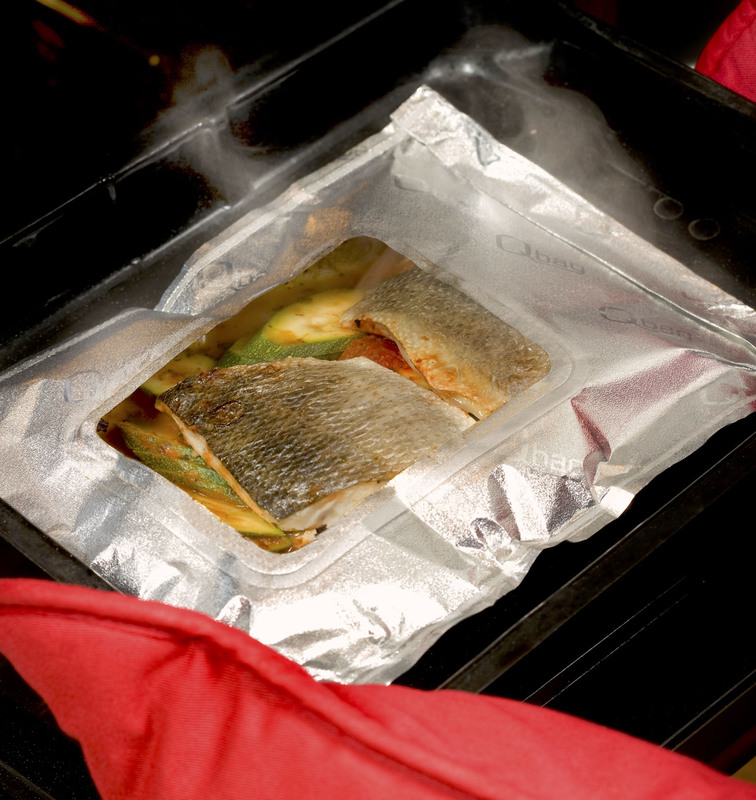 Unlike parchment paper, plastic oven bags and sous-vide packaging, Qbag is uniquely designed for use in the oven and directly on the BBQ outside; cook from fresh or frozen in the bag. Businesses: Qbag is a revolutionary innovation for the home barbecue market. Increase your market potential and extend the selling season with Qbag Alu Foil Cooking Bags. ... In 4 Easy Steps!